Good Morning. I hope everyone had a great holiday! Ours was a good mix of both work and play. I feel like after Memorial Day weekend, even though we have a few more days of school remaining, we are in summertime mode. 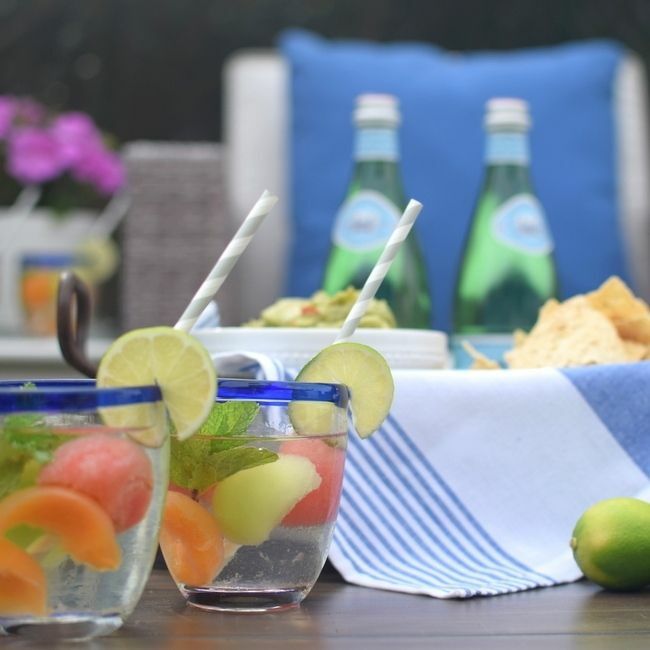 And one of my favorite things about summer is dining al fresco with our family and friends. 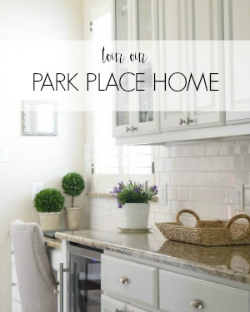 Come and take a peek at how I pulled together a fun entertaining spot in our backyard! In the evening our backyard is completely shaded, so pulling everything into the yard makes for a perfect spot to hangout. 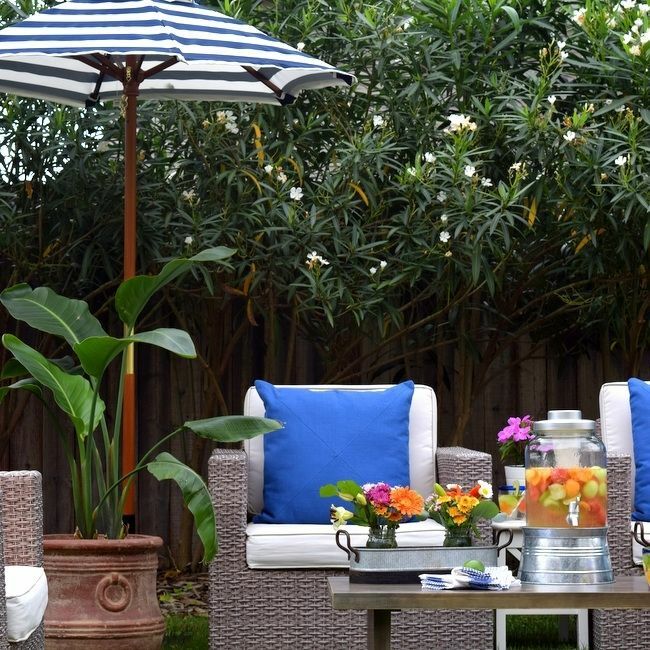 The kids can run barefoot and play in the yard, while the adults sit barefoot and indulge in yummy food and drinks. I've found that keeping things simple is key, especially with children involved in the gathering. So having an easy, laidback setting works best for us. These gorgeous tabletop pieces from Birch Lane create just the causal look I love. 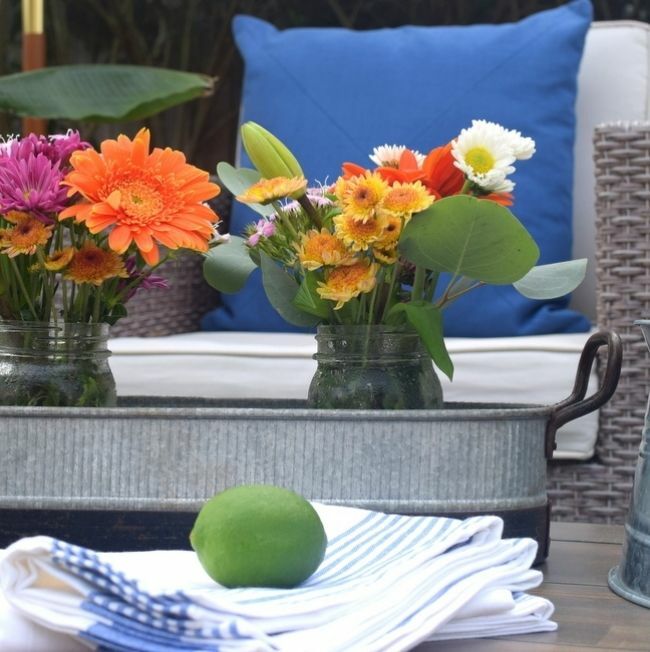 The galvanized planters are so functional. I used one to hold a small bouquet of fresh flowers and another one to serve my chips and guacamole. So, so great! 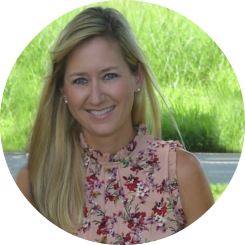 Having everything prepared ahead of time is also my preference, so I can sit back and enjoy time with our company. 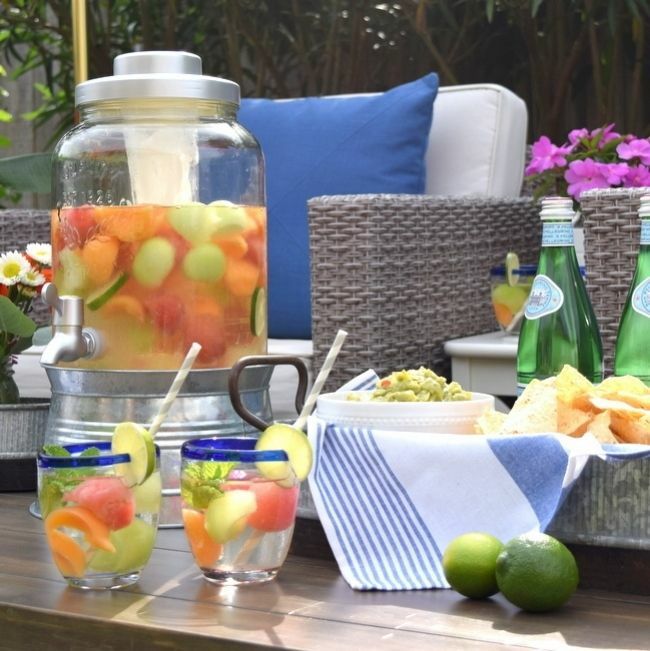 This drink dispenser is perfect to make a large batch of your favorite beverage and allows your guests to help themselves if your hosting duties get pulled in another direction. As much as I like things to be laidback when I entertain, I still like everything to be pretty as well. 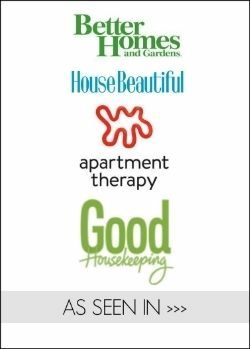 And pretty doesn't have to be complicated. 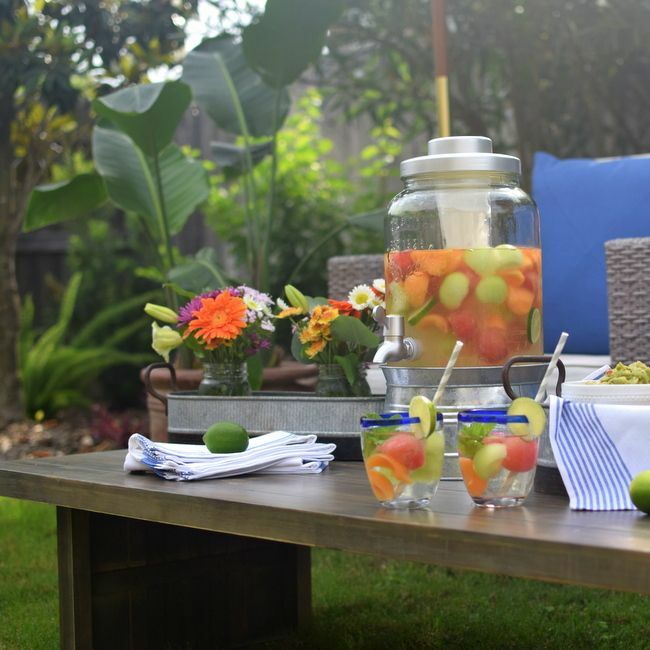 Beautiful drinkware, striped napkins and some fresh fruit gave this entertaining spot the pretty finishing touches it needed. I am so impressed with the my tabletop pieces from Birch Lane. 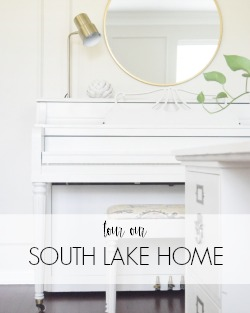 They were the perfect details I needed to create this casual entertaining spot for us to enjoy with our dear friends. 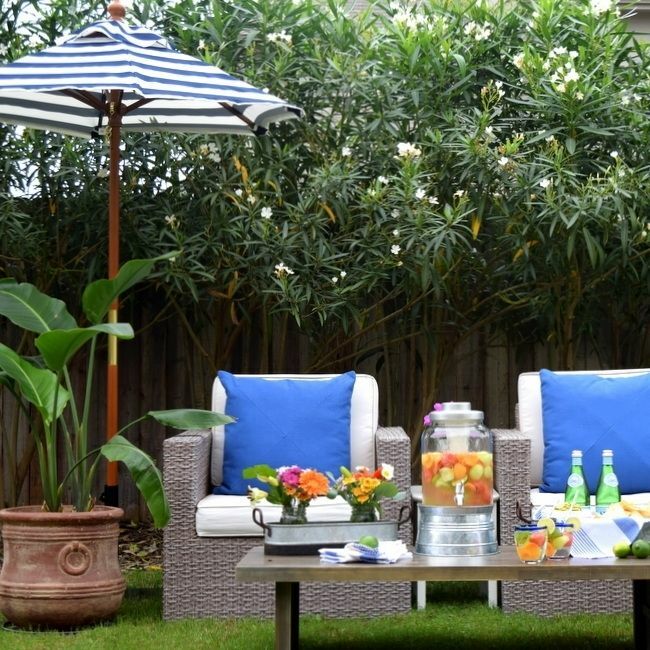 Their beautiful, timeless pieces added both function and beauty to our al fresco gathering. 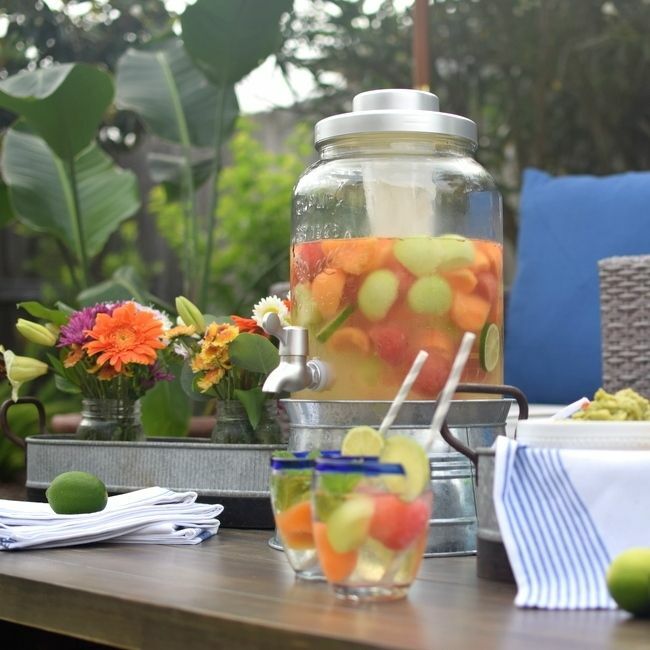 And if you are looking for a delicious summertime cocktail, I will be sharing this scrumptious melon sangria recipe soon. 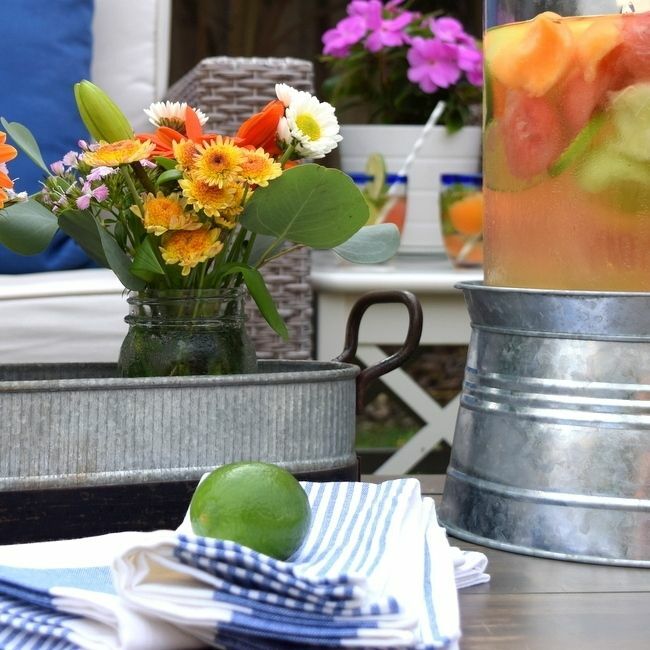 This is the perfect summer party!! I love all the bright colors of the flowers, the fruit, and all the details!! That fruit looks SO delish right now!! Thanks you Elise. We really enjoyed it! Love the colors Becky! 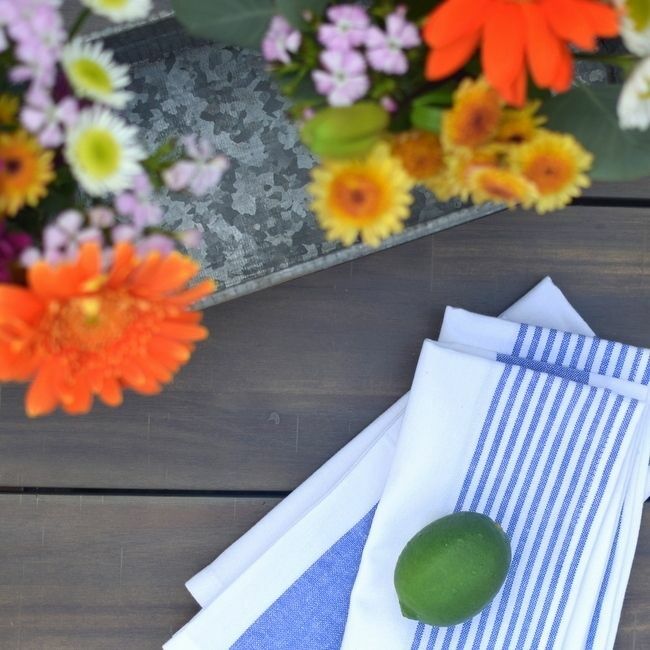 We have blue on our deck and it's just the perfect summer color for outdoor decor. Yes! I'm always drawn to blues and even more so in the summer! Beautiful space! What a great place to entertain and host folks this summer! Love it! Becky, this is absolutely fabulous!!! Love all of the Birch Lane pieces and picked up lots of inspiration for helping out my sorry looking patio! 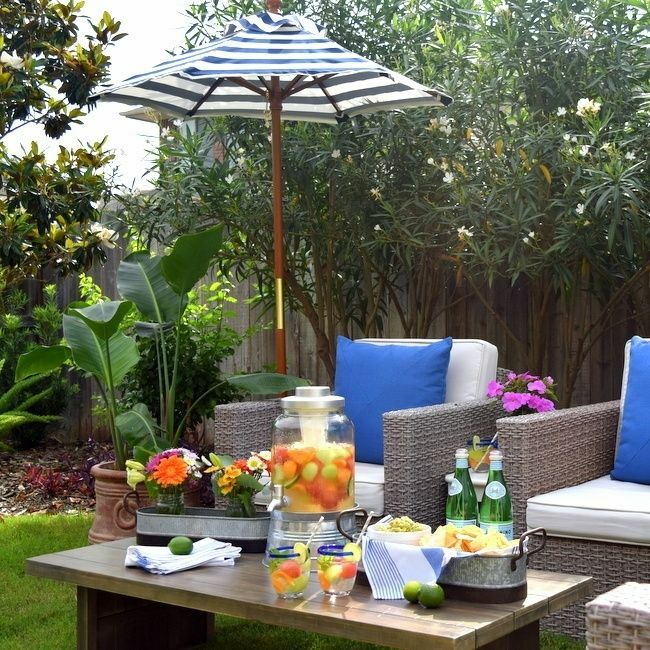 Becky, I just love your backyard space!! That flowering tree is the perfect backdrop to your gorgeous chairs (love love love those) and your flowers and styling are all so pretty. I agree preparation is key so you can sit back and enjoy your company. This looks like the perfect place to hang out!!!! Gorgeous Becky! I love every detail! This looks so relaxing!! I love the tropical looking trees in the background. What type are they?